What do fishing guides do in their spare time? Some go fishing. 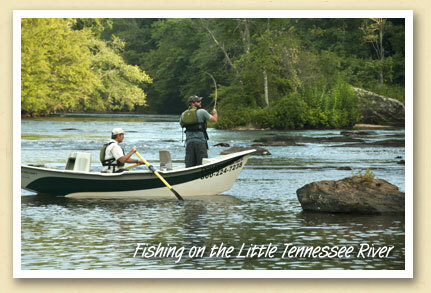 Two local fishing guides — Ken Kastorff of Endless River Adventures and Nick Johnson of Rivers Edge Outfitters — fish the scenic Little Tennessee River which flows north out of Macon County into Swain County before entering Fontana Lake. Ken calls the “Little T” one of the easiest places to catch fish. He adds “and you never know what you’re going to catch” While the river may be best known for small mouth bass, there’s also redeye, redhorse, crappie, walleye, carp and even muskie. And in the springtime, there’s a run of trout. The water is exceptionally clean with no commercial development to spoil the scenery. Wildlife sightings are commonplace, including deer, bald eagles and osprey. 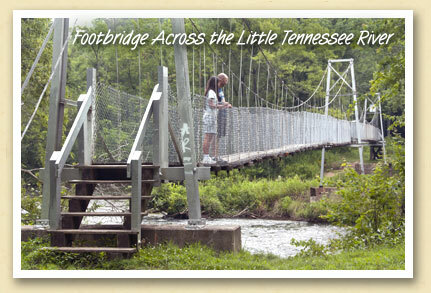 The future is bright for the continued health of the Little Tennessee thanks to the efforts of the Little Tennessee Watershed Association and the Little Tennessee Land Trust, owners of the 4400-acre Needmore Game Lands, which encompasses a 27-mile stretch of the Little Tennessee. The game lands are managed by NC Wildlife Resources Commission. 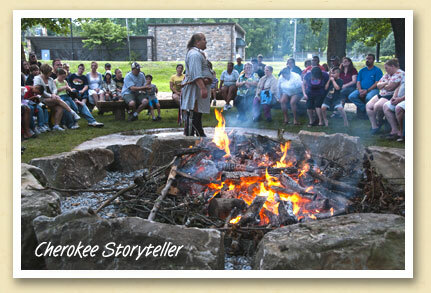 To learn more about fishing in the North Carolina Smokies go here. A group of colorful rafts emerge from the morning mist. They’ve just begun their eight-mile journey down the wild and scenic Nantahala River. 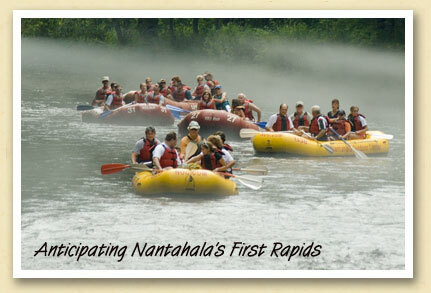 The first few minutes of a Nantahala rafting trip are rather calm and uneventful, giving everyone in the boat time to get settled and practice paddling. Guides will take this time to discuss maneuvering techniques and teamwork. But just around the bend is one of the most exciting whitewater features on the river — Patton’s Run. And that’s when the fun begins. For more about whitewater rafting in the Smokies, including a directory of outfitters, visit the Travel Guide to Bryson City and The Great Smoky Mountains. Making candy the old fashioned way. In a copper pot. If you’re not sure of the location (it’s 134 Everett Street) just trust your nose. The aroma of fresh fudge will lead you straight to The Chocolate Shoppe where you can watch candies being made the old fashioned way. Above, Donna Rector keeps an eye on the temperature while Kristina Wurdinger stirs a heated mixture that will soon become pralines. Co-owners Sherry White and Donna make their candies from family recipes, including hand-dipped chocolates, pralines and peanut brittle. 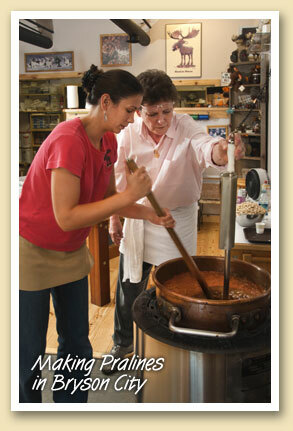 They also make more than a dozen varieties of fudge, made 20 pounds at a time and poured on a marble slab to cool. Hours are 10am – 5:30 Monday thru Friday, a little later on weekends.